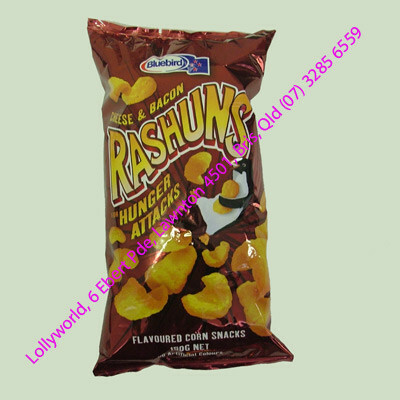 Rashuns Chips are made by Bluebird in New Zealand. Cheese and bacon flavoured snacks made from corn. Even more moreish than Curlies!